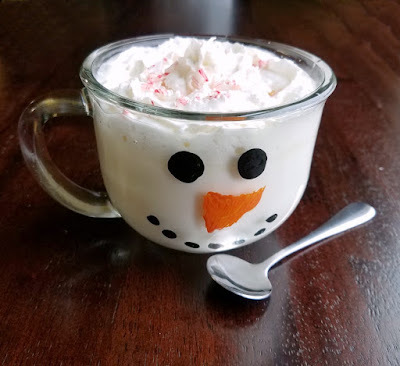 When Little Dude and I made the snowman mugs, I just knew they needed to be filled with white hot chocolate. 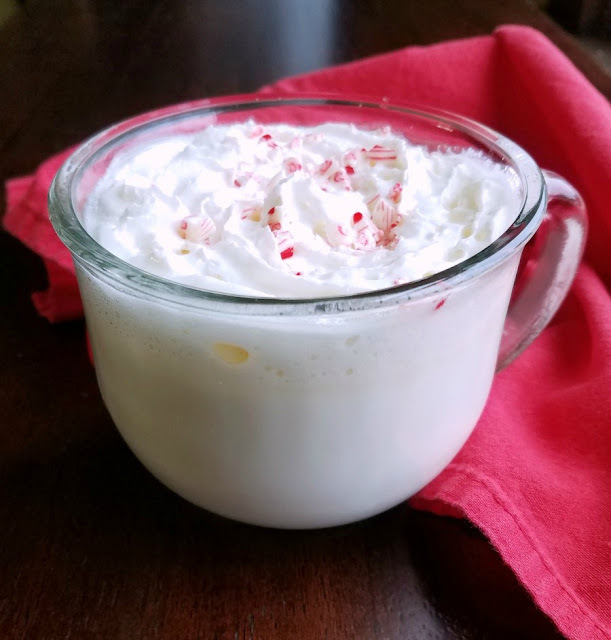 We love the white hot chocolate mix we made a few years back, but I wanted something we could make quickly now. Plus when you aren't making a mix, you can use real milk instead of powdered which is another bonus. Plus there's no need for the food processor! Just get out your saucepan and a few simple ingredients and you are in business! 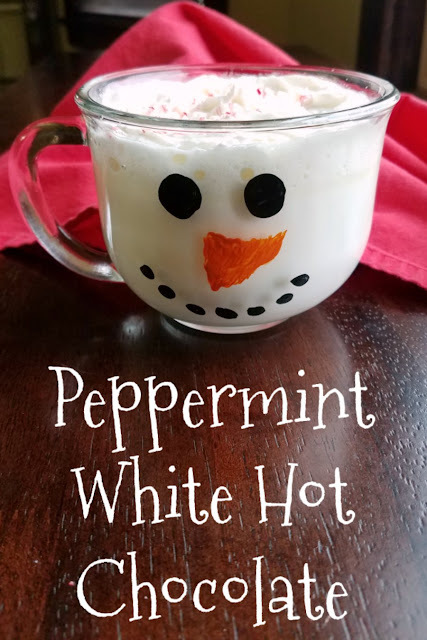 You can have a warm sip of goodness in no time at all. Of course I thought the hot chocolate was absolutely darling in our snowman mugs. After all, a fun package never hurt anything. But obviously it would be good no matter what. I was a little nervous handing the mug to my husband. 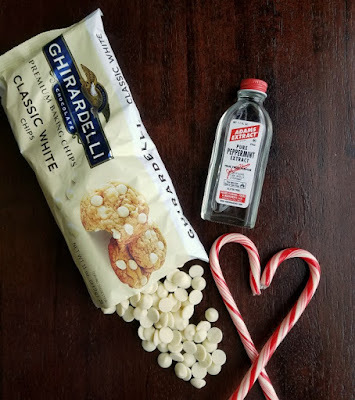 He is not a white chocolate fan and not particularly huge on peppermint either. But I had a whole batch made and Little Dude and I needed some help drinking it. He actually really liked it! He had it polished off in no time. I would tell you he was singing his praises, but you don't actually catch him singing very often. He was complimentary none the less! All of this hot chocolate talk and my new collection of fun mugs has me thinking we should have a hot chocolate bar at Christmas. 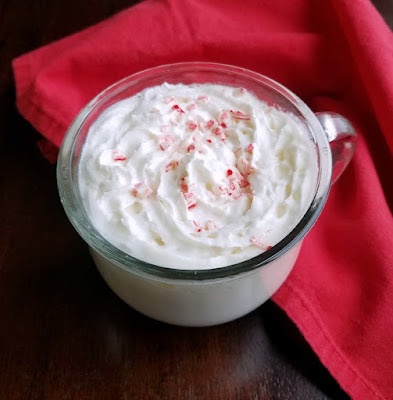 What sorts of goodies do you like with your hot chocolate? In a saucepan over medium-low heat, bring milk to a simmer. 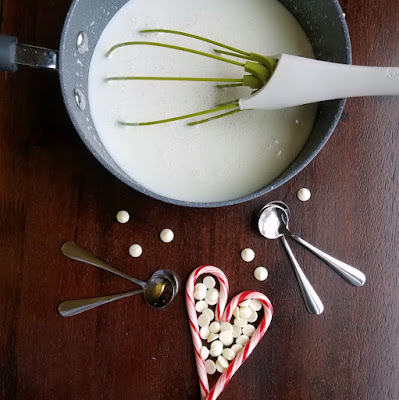 Drop the heat to low and stir in the white chocolate. Once the chocolate is melted in, remove the pan from the heat.